My research lies at the intersection of surface and colloid science, polymer materials engineering, and biointerface science, with four central areas of focus: 1. Fabrication, manipulation and characterization of stimulus-responsive biomolecular and bio-inspired polymeric nanostructures on surfaces; 2. Nanotechnology of soft-wet materials and hybrid biological/non-biological microdevices; 3. Receptor-ligand interactions relevant to the diagnostics of infectious diseases; 4. Friction of soft-wet materials, specifically the role of glycoproteins on friction in diarthroidal joints. These four broad lines of inquiry deal with fundamental behaviors of soft-wet materials on surfaces and interfaces. The design and fabrication of these interfaces using "smart" polymeric and biomolecular nanostructures, and the characterization of the resulting structures, are critically important for the development of biomolecular sensors and devices and for bioinspired materials. 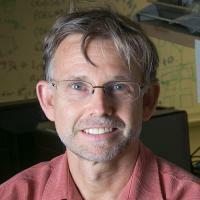 Key approaches and tools I use in my research are: bottom-up organization on the molecular scale, through self-assembly, in-situ polymerization, and manipulation of intermolecular interactions; topdown fabrication, through scanning probe nanolithography; stimulus-responsive polymers; molecular recognition; and new approaches to sensing and manipulation. This research supports Duke's Pratt School of Engineering strategic initiative to expand research in soft-wet Materials Science.